If you're in the market for a new auto sound system you might want to seriously take a moment and consider whether or not you would be benefited by subscribing to either Sirius or XM Satellite Radio. Both of these subscription-based services have something wonderful to offer their subscribers and both of them require specialized equipment in order to operate. This means if you are going to wish to use either service, you will need to have decided which service before you have your auto sound system installed. It really doesn't matter which of these you choose they each have different features that will appeal to a wide variety of audiences. You will find some wonderful competition among the two not only by way of music radio but also talk radio. If you really love talk radio you really need to subscribe to one of these in order to find a treasure chest of talk radio gems. You will find everything from the mundane to the controversial. From Oprah to Howard Stern exist in the realm of satellite radio, which seems to not only be catching on but also here to stay. 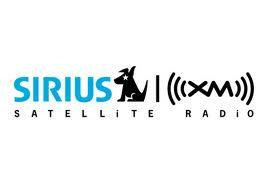 It has been commented on many times that XM Satellite Radio has a strong lead when it comes to subscriptions. This is very true but you should also keep in mind that the new subscribers seem to be leaning more towards Sirius for their satellite radio rather than going with the traditional favorite. I've checked out the line up and can't see that one has much of a clearly defined lead over the other so I can't give a definitive reason for the massive new subscribers to Sirius or even the phenomenal lead that XM Satellite radio is currently enjoying. Regardless if this is something that might interest you, you really should check out each website and decide for yourself which, if either, is more appealing to you as well as whether that appeal is worth the investment and the monthly subscription fee. I will say this however: XM Satellite Radio for the moment seems to have much better toys to offer consumers. That being said, I'm actually quite surprised that the vast number of new subscribers are going with Sirius rather than XM. Of course, being the gadget geek that I am, I am basing that surprise solely on the fact that XM seems to have much better toys. At the moment XM is offering some really cool gadgets that double not only as XM Satellite Radio receivers but also offer GPS functionality and navigation assistance and controls. Some of these devices even go one step further and play DVDs, CDs, MP3s, among other things. Believe me, Sirius has a lot to offer its customers as well, I'm simply thrilled over select items that can be found at XM that I really haven't seen adequate competition for elsewhere. On the level of music, both seem to carry similar genres, lineups, etc. The same holds true for the Talk radio line up. The only major difference I am finding between the two are the gadgets. Even the prices are rather competitive with one another. I see only one other major difference and that is the fact that Sirius offers a lifetime membership that cost about the same as the five-year plan from XM Satellite Radio. The thing to remember however is that the lifetime membership is for the lifetime of the device not the subscriber. I should also point out that opting for satellite radio more than likely will not eliminate your need for a new auto sound system it may however pose certain requirements for the type of sound system you will be able to choose. One thing I have noticed with both companies is that there are plenty of devices from which to choose. You will have your hands full selecting the right equipment for your auto sound system upon which to enjoy the wonderful sounds that satellite radio will bring to your ears each and every day.